The City of Unley has approved a permanent fence being erected around the playing field of Unley Oval. Pick-a-Picket campaign is an exclusive opportunity for you to own your own piece of history. Make your mark by purchasing an individually numbered and personalised picket with nominated name and/or family name. The money raised will go towards financing the construction of this fence which is necessary to back up the clubs commitment to the City of Unley for the cost of the construction of the fence in the effort to reduce match day set up costs. How will it appear on the picket? Your picket will be individually numbered and a plaque will be mounted on the crowd side with nominated name(s) and/or family name(s). 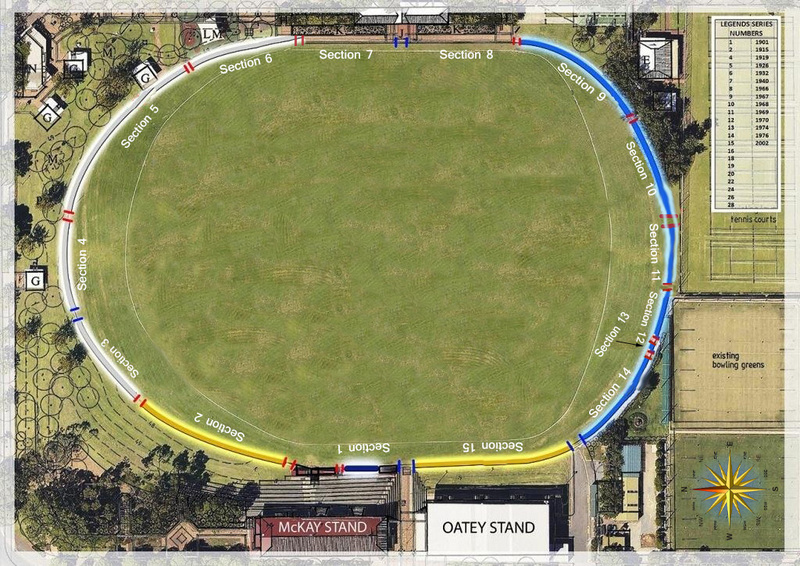 ‘Legend’ pickets will have two plaques – crowd side plaque in blue with nominated name and/or family and oval side plaque with contain ‘Legend’ details as determined by Sturt Football Club. 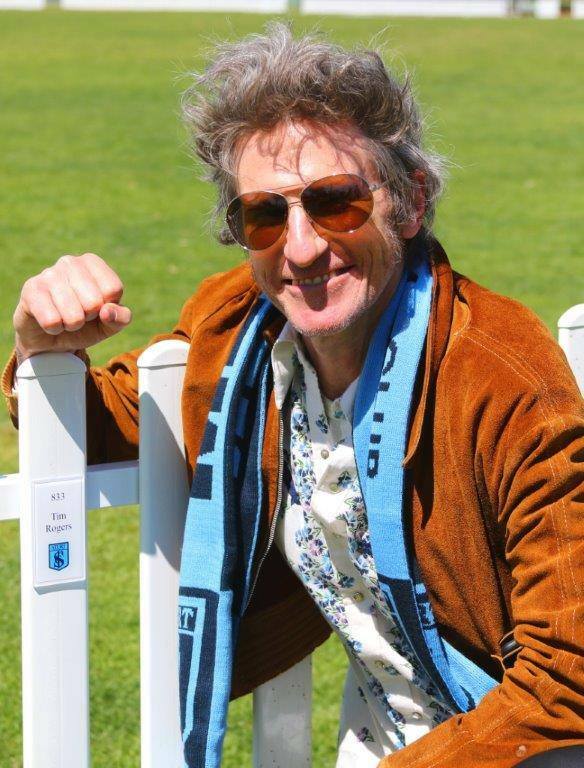 Sturt Football Club players who have played 100+ games will also feature on the oval side of the picket fence. How is the Sturt District Cricket Club involved in this campaign? Sturt District Cricket Club (SDCC) are also selling pickets with their logo on it in an effort to raise the required funds for the fence. Pickets with the SDCC logo can be purchased in any area of the oval. The SDCC have also recognised legends of their great club. These pickets will be located in front of the Oatey Grandstand, will have a plaque on the oval side including the name of the legend and can be purchased for $200 (names of legends included in SDCCLegends.pdf at bottom of page). Sales and enquiries are being handled by Sturt Football Club on (08) 8271 4611 on behalf of the Cricket Club. How much does a picket cost? Click here to view Picket Map. Section 12 unavailable due to bowling green fence. Sturt Football Club Members will receive a 10% discount (applicable to 1 picket per purchase). 1. Who do I call to purchase a picket? 2. How will the sales be managed? Sales will be managed through Sturt Football Club and work on a first in, best dressed basis. To secure your chosen picket number payment is required at the point of sale. 3. What criteria determined the ‘Legend’ pickets? Sturt Football Club’s Foundation year, Premiership years, Team of the Century, Hall of Fame and Magarey medallists helped establish the criteria. 4. Do I get a discount for being a Sturt Football Club 2018 Member? All current Sturt Football Club Members will receive a 10% discount off the cost of the picket – excluding Legend & Platinum series.